While having balanced water in your pool is one of the most important things you can do for your pool, many people are confused about how it works. Not understanding how to have balanced water might keep you from keeping your pool working properly. In this article, we are going to talk more about how you can take care of your pool and understand more about how balanced water works. If you do not keep your water balanced properly, you could experience safety issues in your pool. Whether you have a salt-based pool that produces chlorine or a chlorine-based tablet pool, your pH has to be correct. If it is not balanced right the chlorine sanitizer is not going to work at full strength to kill bacteria or germs. When your water is not balanced, you may notice a negative effect on your skin and eyes. The pH should not be too basic nor should it be too acidic so that your water can feel comfortable on your skin. An imbalanced pool can also cause problems with the liner, ladders, and handrail. It could cause problems with equipment like the pump too. You are looking at total alkalinity which refers to how much alkaline is in the water. Both pH and TA are important with your balanced water. When your water is highly alkaline, this leads to high pH. Low alkaline water leads to low pH. You want to shoot for your pool having an alkalinity reading of 100 ppm. To keep your pool equipment and pool finish intact, you need to make sure your pH levels are within the proper range. pH is in reference to the acidity or baseness of your pool’s water. You are looking to have a pH level around 7.4 to 7.6 on your pH test kit’s numeric scale. 0 to 7 means it is low or acidic and 8 to 14 means the pool has a base pH level. You need to have the right amount of calcium in your pool since if there is too little, your plaster could erode. If you have too much calcium, your water may become cloudy, scale could form and stains could start to form. 300 ppm is ideal for the average pool so shoot for that. 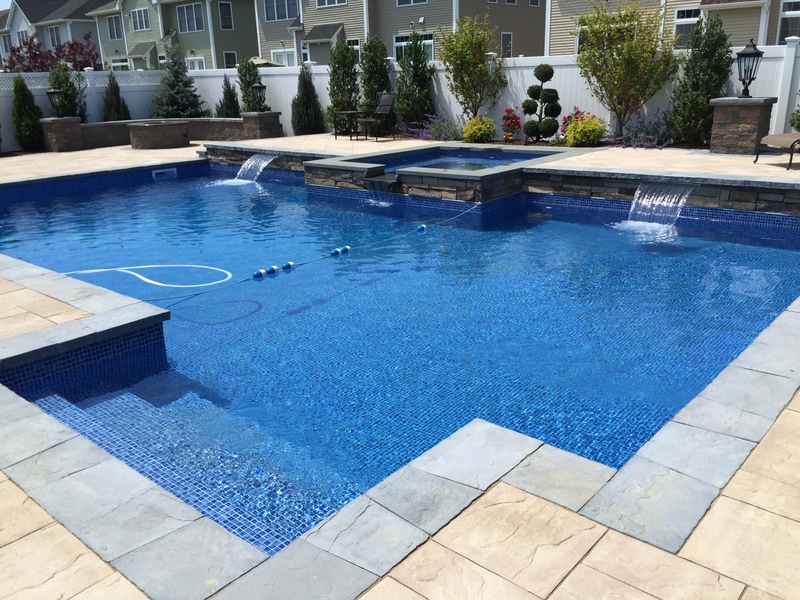 If you do not take proper care of your pool, you may save some time now, but you are going to be putting out money and effort in the near future. When you do not take care of your pool and keep the water properly balanced, you may notice different breakdowns in your pool. You could also notice that your skin and eyes get irritated when you are swimming. Having a pool service or making sure to take care of your pool properly is important. Upgrading systems in your pool could also help you. Whatever your goals are, you should give our pool professionals a call so we can help you through the process.